"How to make perfect souffle". This is what I typed into Google then spent the next hour reading. What did I learn? 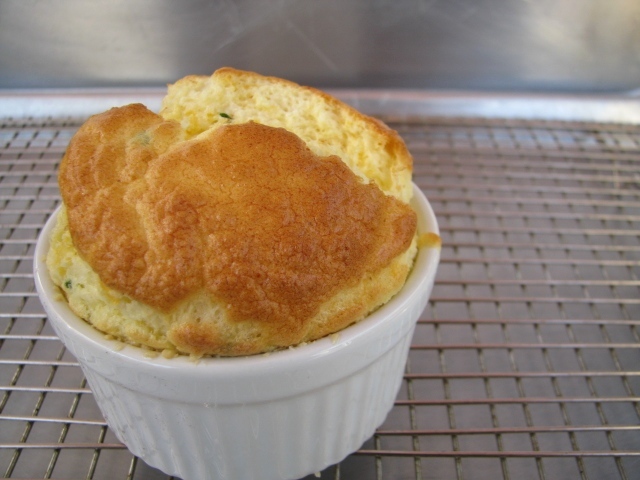 Souffle is all science. Unfortunately I'm pretty not that great at science - but it did turn out to be fairly interesting reading. Most all the articles agreed that manipulating eggs is all about fats and proteins and incorporating air and yada, yada, yada. Like I said...lot's and lot's of articles and many, many recipes available. So I began this little journey of souffle skill. After several attempts I decided a few things. 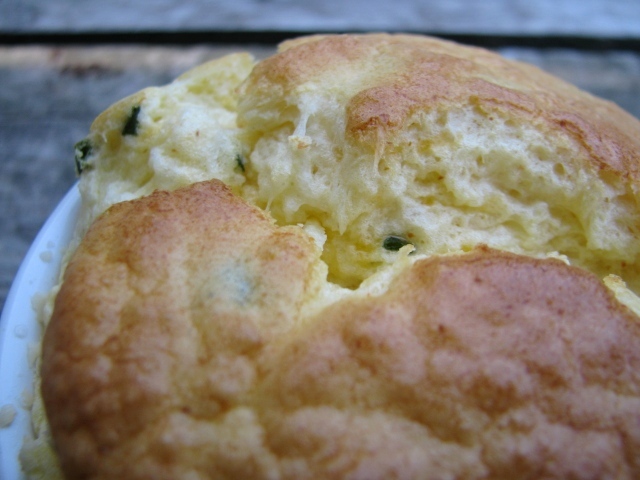 - adding cream of tartar to the egg whites is a good thing. - opening the oven door to check doneness is a bad thing. - slamming the bedroom door upstairs did not make them crash. 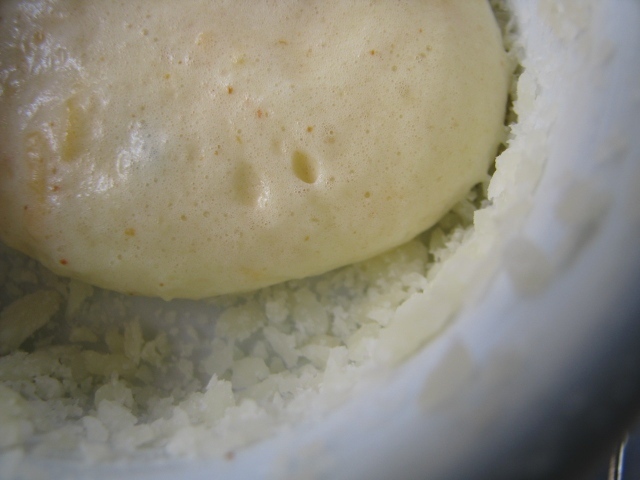 - the phrase "serve immediately" was created specifically for souffles - that way when it begins it's descent back into the ramekin we can say it happened because the beautiful puff was stabbed with a fork. 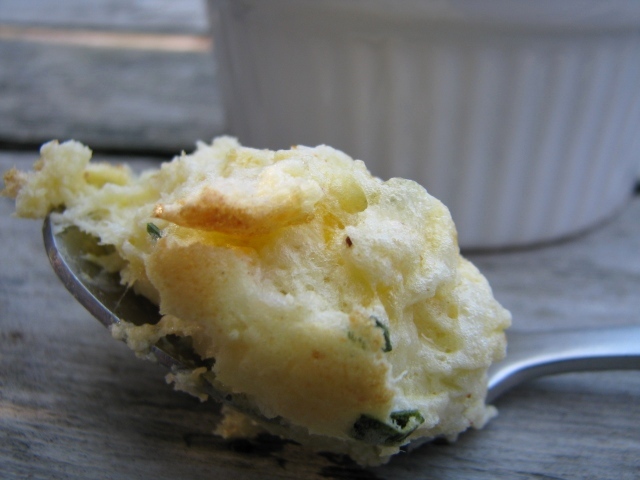 - and I like the inside a bit creamy so that is the recipe I am sharing here. 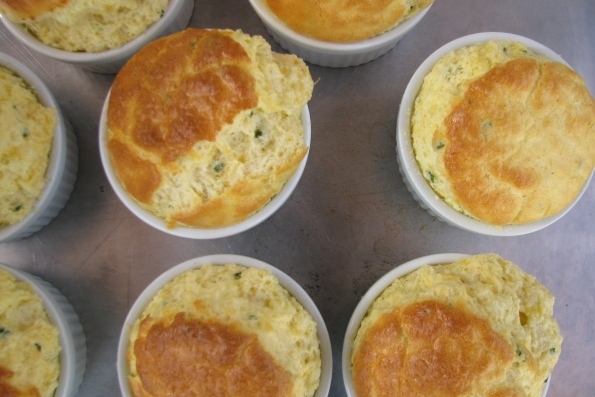 get all your ramekins onto a baking sheet. rub the insides with butter. sprinkle the insides with the parmesan cheese. place into fridge until ready to fill. 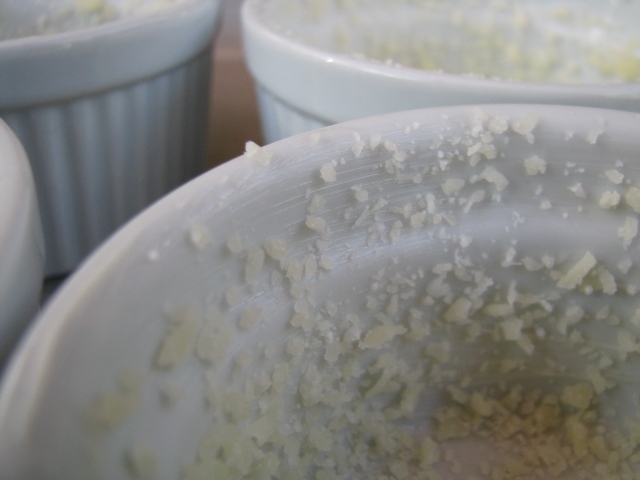 melt the 4 tablespoons of butter in the microwave - set aside. 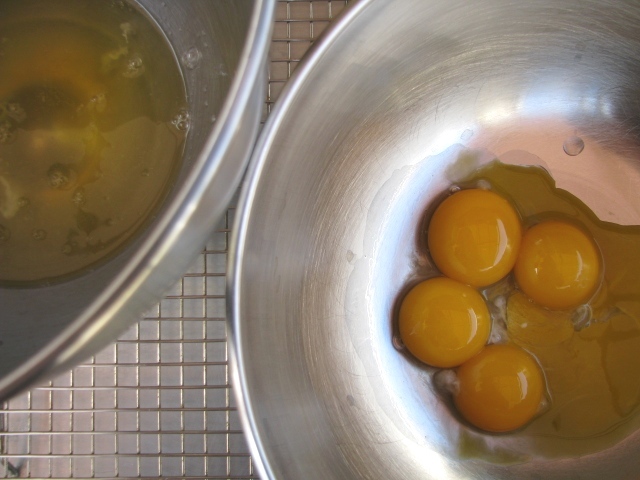 using a whisk mix those egg yolks until lightened and creamy. add the melted butter. mix. add the spices as well as a few turns of salt. 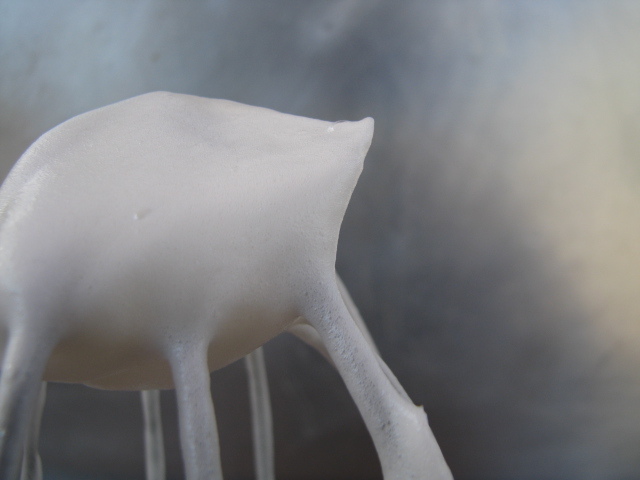 beat the egg whites on medium high speed. when foamy add the cream of tartar and salt. beat until almost stiff peaks. 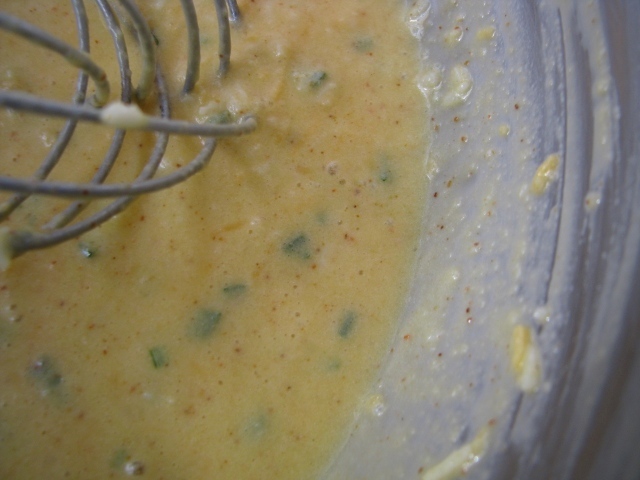 using a rubber spatula, place about a third of the whites into the yolk mixture. then another third of the whites. be careful not to over-mix at this point. some white or light colored streaks are fine. just make sure to try and smooth out any big globs. 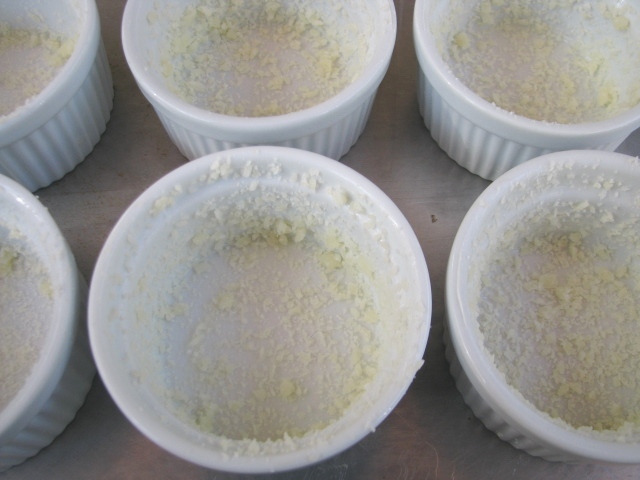 fill each ramekin almost to the top. place the tray in and leave them alone for 18 to 20 minutes. tops need to be nice and toasted. as I mentioned above, I like the insides creamy. if you want them more done you may want to increase the cook time.